Hi, guys! It's been a while since my last time joined a giveaway from other bloggers. This giveaway made me want to join because of the planner itself. It is so cute and pretty. I just started to have a planner early this year and I truly love the feeling of writing what I am going to do next and what not. I would love to have it for upcoming planner if I won the giveaway. 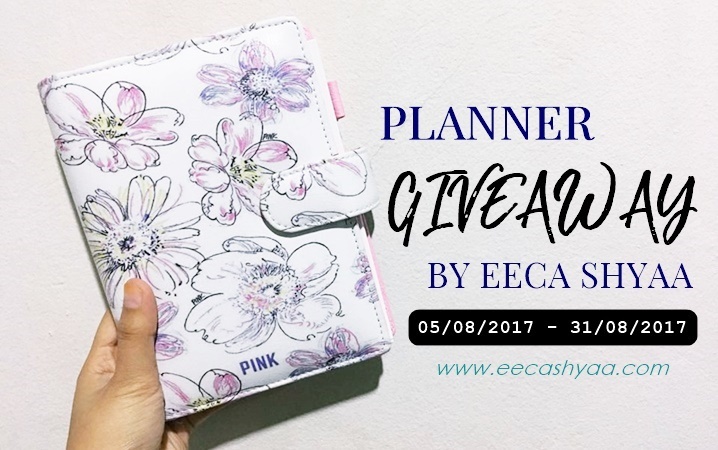 Don't forget to join if you want to win this beautiful planner from Eaca Shyaa. Click the banner or go here. GOOD LUCK, everyone!